A Second Ending for U.K.
After this release, and a supporting tour, both Bruford and Holdsworth left the band, and they became a three piece with Terry Bozzio (ex Zappa) joining the group for their second release Danger Money (1979) and final offering, a live album from that same year titled Night After Night. Though of short tenure, being hatched really at the end of the 1970’s prog boom, U.K. left an indelible mark on the musical landscape. 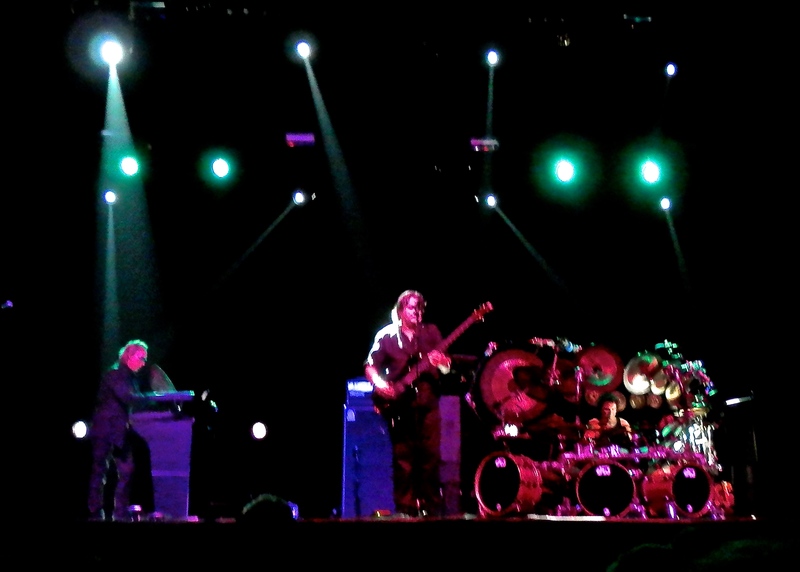 Each member contributed some of the best work of their careers to this outfit – Eddie with his manic organ, space age synth patches and lightning fast violin solos, John with his smoothest strongest, oft urgent, vocals and power-bass riffs, Alan with his fusion guitar leads, and Bill, then Terry each incorporating their stunning trademark style on finely tuned drum kits. For proof, check out “Ceasar’s Palace Blues” live in 1979. I was able to catch one of U.K.’s final 1970’s performances supporting Jethro Tull on that band’s Stormwatch tour, itself the end of an era for Ian and company, at the Long Beach Arena, November 13, 1979. The short set list afford U.K. that night left the audience wanting more, even though the three piece band tore through aggressive renditions of several prog tracks, including their defining debut suite, “In the Dead of Night” and “The Only Thing She Needs” a similarly epic track from their second. But it was the inclusion of several new songs, two that had already been played live and captured on Night After Night and a new one, “Waiting for You” that impressed me that night, so long ago. These newer tracks had more commercial appeal than the more complex song-suites, and I believed at the time these pointed to a more accessible third album to come. However, at the end of this tour, U.K. disbanded. Stories abound but the one that seems to stick is that Eddie was looking to build longer, more instrumental compositions, and John was favoring a more song oriented, accessible direction. John went on to record his excellent solo album Caught In The Crossfire, sounding very much in parts like what could have been U.K.’s third (check out “Cold Is The Night”), then formed Asia, another supergroup with massive commercial appeal. 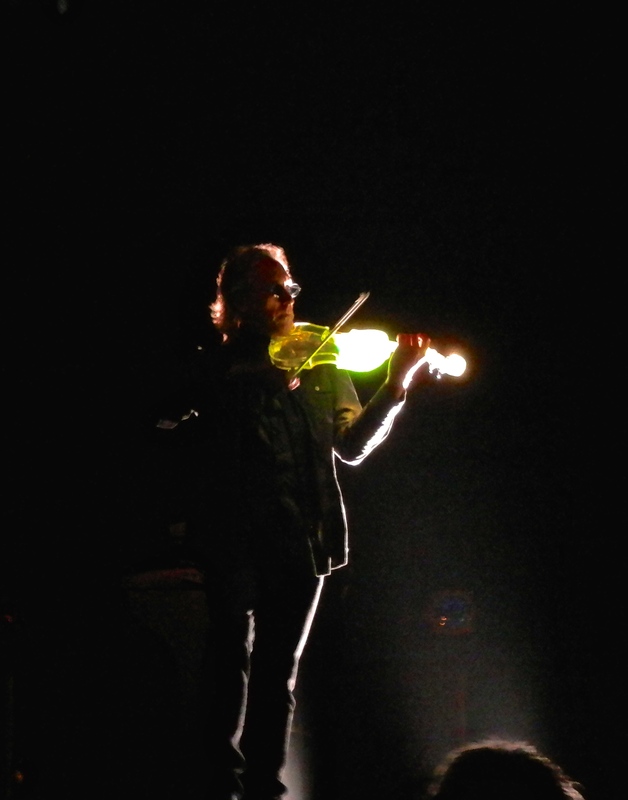 Eddie joined Ian Anderson for one album that became Jethro Tull’s A (1980) along with the fabulous tour to support it, then went on to solo work. Terry released the jazz infused debut album from the relatively unheralded band, Group 87 (try “Magnificent Clockworks“, the album is a must-have entry in any prog collection), then joined his wife Dale to form 80’s pop sensation Missing Persons. Though they burned brightly, the brevity just seemed a bit of a loss – U.K. had straddled the line between prog and pop in a way that could have sustained the band. The strength of the group had been the balancing of both styles, and U.K. had been more than the sum of its parts but that was not to last. I thought at the time they were better than Asia, and could have carried on with a similar balancing act for at least a few years during those increasingly dark days for the genre. Ultimately, the individual members went on to record a number of successful albums with multiple collaborators and various bands. 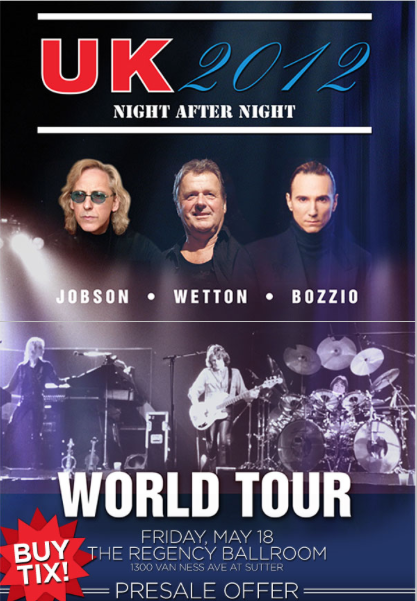 After a long hiatus, actually thirty long years, Eddie Jobson and John Wetton began to stage a small series of occasional U.K. reunions, beginning with a night in Poland in 2009. The personnel on drums and guitar have varied across these outings. 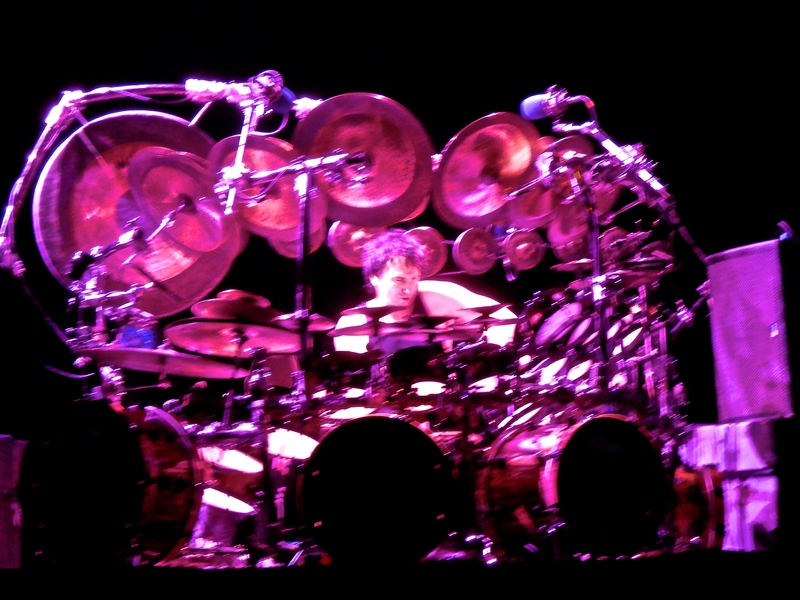 The culmination for me was being able to catch their show in San Francisco in 2012 when they returned to the three-man lineup of 1978, with Terry Bozzio back on drums. It was fantastic to see the band again, tearing through precise and energetic versions of nearly their entire catalog, finally experiencing the complete set list I, and so many others, missed all those years ago. After several years of assorted reunions, I have decided to permanently retire “UK.” … It has been a privilege to work with John Wetton again and to bring the music of UK back to audiences worldwide; however, this was always meant to be a temporary arrangement and it is now necessary to allow our legendary band to slip into a graceful retirement. alan holdsworthbill brufordchad wakermandanger moneyeddie jobsonJohn Wettonnight after nightProgressive Rockterry bozzioU.K.